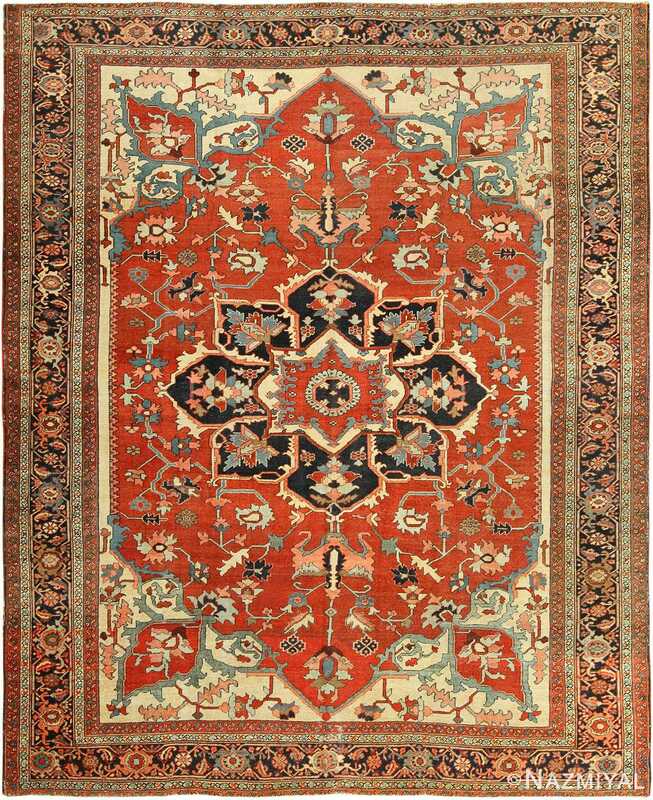 Light Blue Beautiful Persian Serapi Rug 49080, Country of Origin / Rug Type: Persian Rugs, Circa Date: 1890 – Through the use of relatively simple lines and pronounced colors, this beautiful Serapi rug uses a unified and contrasting color palette that is meant to draw the viewer’s attention to key intersections of motifs along the Persian rug itself. 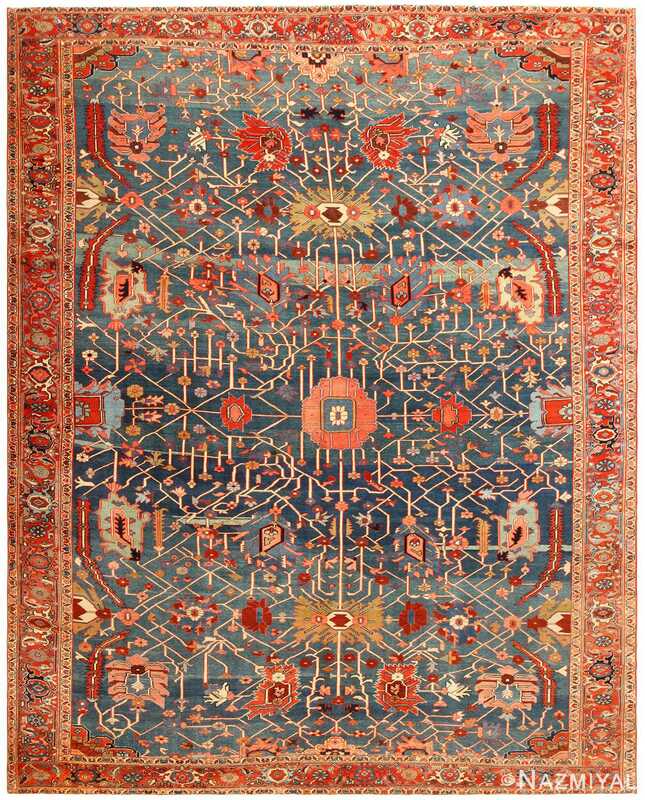 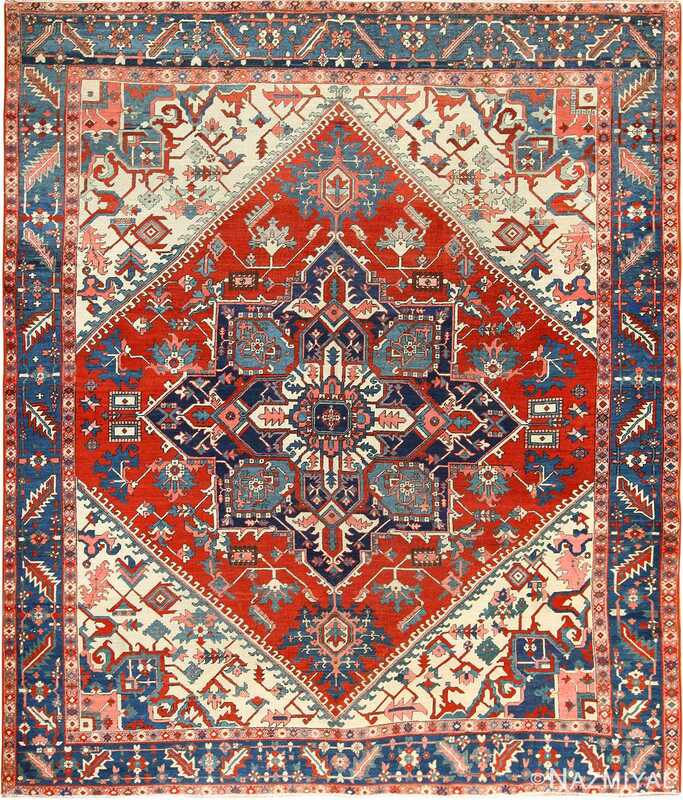 A relatively thin border adds further grounding to the colors present and takes the viewer on a journey to the center of the antique rug, where the majority of the activity takes place. 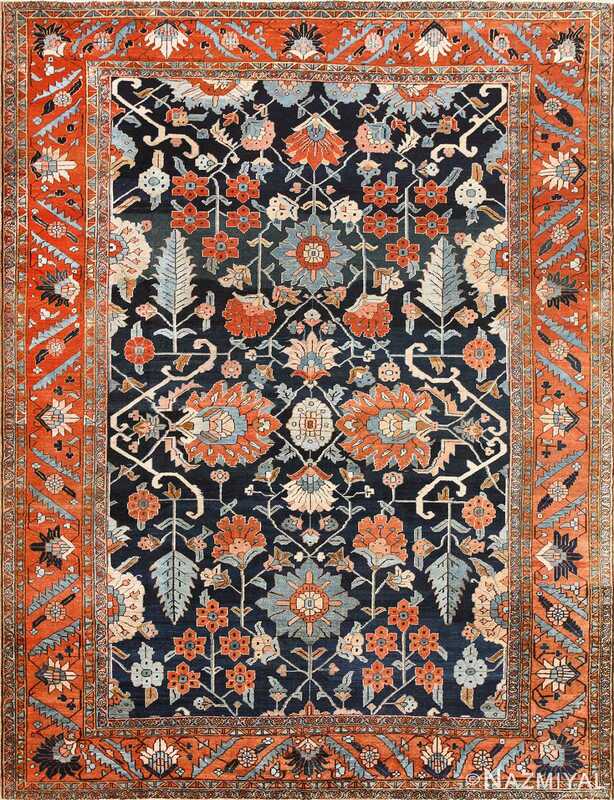 A symmetrical arrangement of floral motifs and sprawling vines allow the rug to act as a powerful centerpiece in all types of configurations.